Do Now: To begin class this week, we’ll be looking at non-linear visual patterns. For each VP Describe the pattern. Draw the next step. 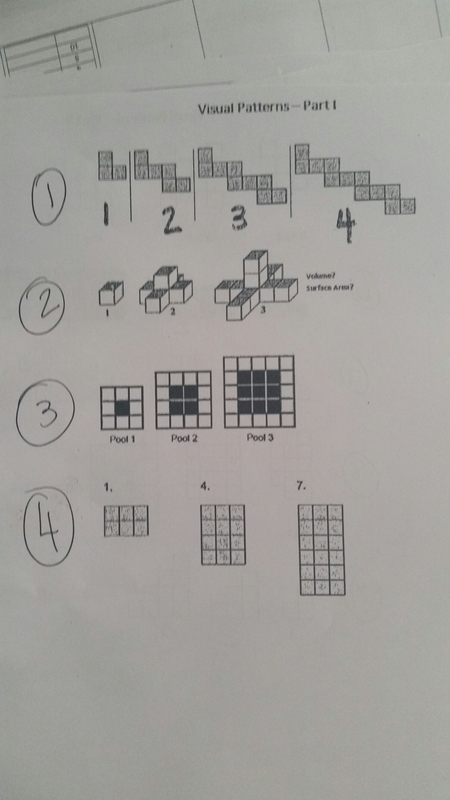 Create a table for steps 1, 2, 3, 4, 10 and how many blocks needed to create the concrete model. 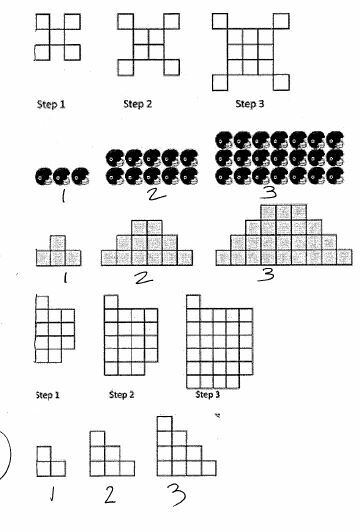 Either in words or using an algebraic equation, show how to find how many blocks are needed for Step 43. 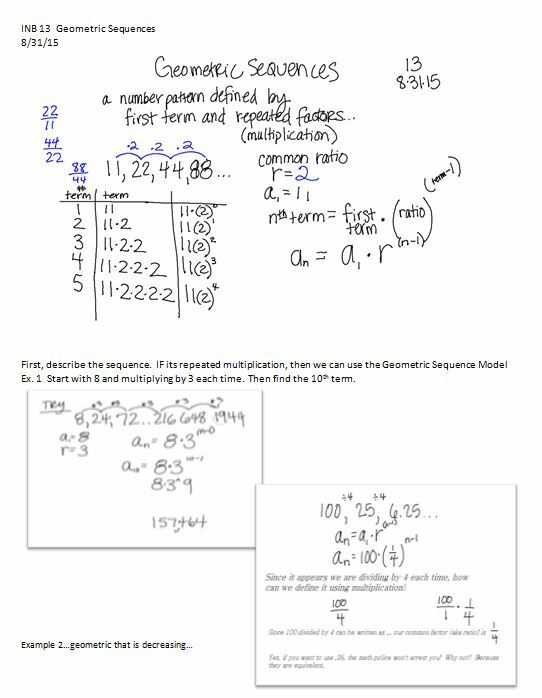 Friday – we checked Problem Set #4 and turned in the packet from the week. 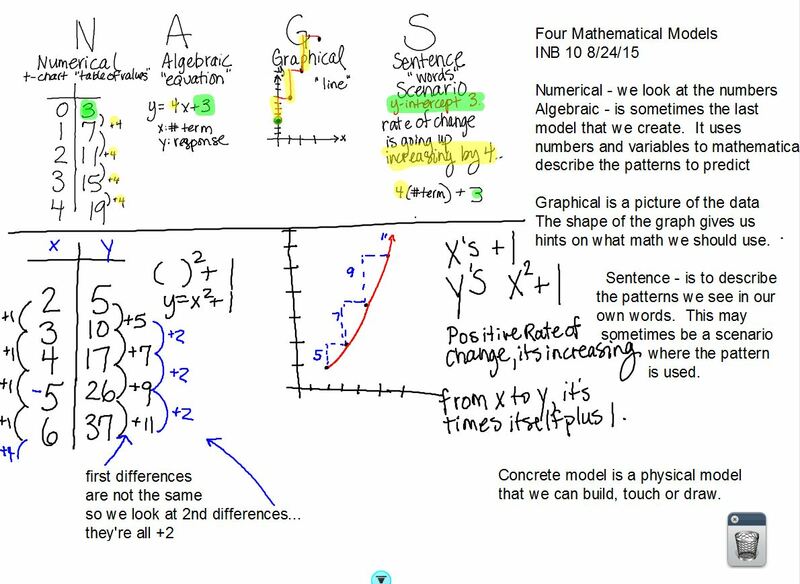 There are 5 mathematical models we will use this year. Last week with Spikey’s allergic affliction, we used blocks and drew pictures to model the visual patterns. Which One Doesn’t Belong? & Why? 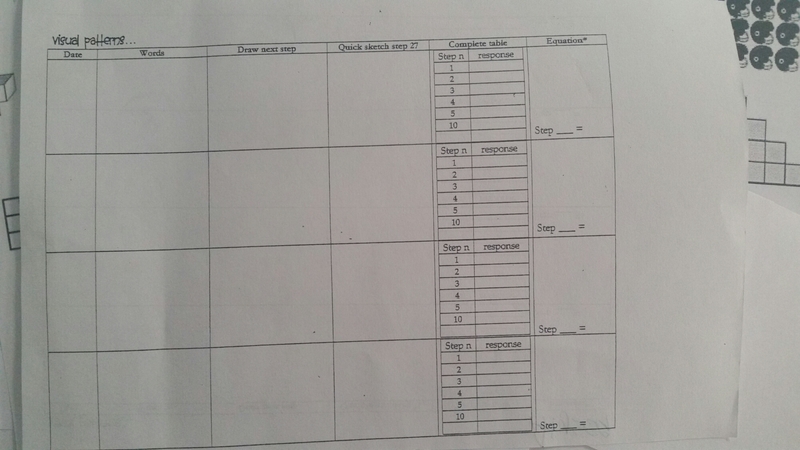 The first page is the chart we used in class to record our thinking. Describe the pattern in your own words. Draw the next step in the pattern. Sketch (label side lengths/no details required) 27th step. Find how many blocks to build the 43rd pattern. 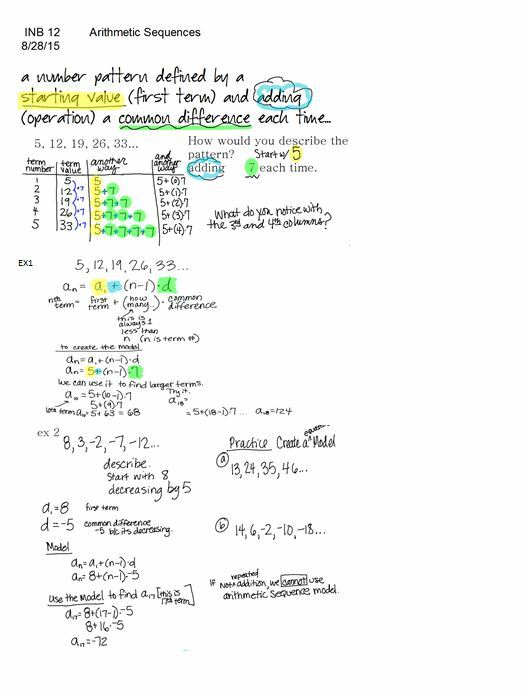 You can write an equation/show your math/explain in words.